I watched as the kids scampered up onto the campfire stage, laughing at their friends’ overly enthusiastic cheering. 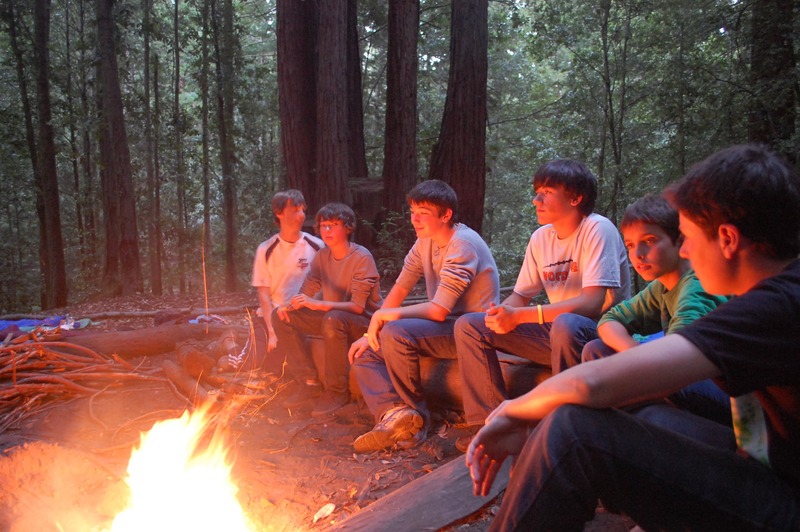 Soon, pure voices echoed in the silent redwoods, singing a popular song that had us all tapping our toes to the beat. They smiled at each other as they sang, first in unison and then in harmony, performing their choreographed movements in perfect time. These kids were having the time of their lives up there on stage. It was amazing to watch. As applause broke out, they donned proud smiles and made their way off stage to rejoin the group. As a veteran of many a summer camp session, I’ve seen my share of talent show acts and choir camp skits. I’ve been part of camp musicals and have taken my turn at the solo mic more times than I can remember. But there’s something about singing a cappella with my friends on the casual Kennolyn stage that really sticks out in my memory. The moment felt real, spontaneous, and exciting—accompanied by the exact mix of emotions that I saw on the Glee campers’ faces that evening. When you’re choosing to send your child to a summer camp where they will get to experience the joy of singing together with their peers, you can be confident that they will come away with deeper and more valuable skills than simply learning to use their singing voices. 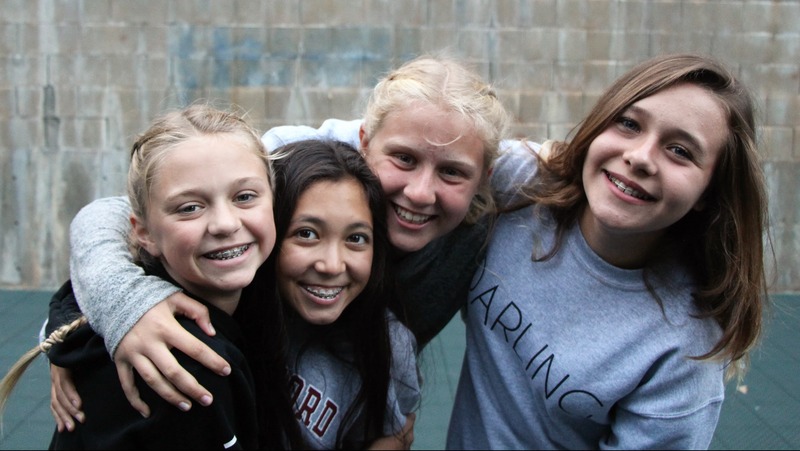 With all the benefits that singing has to offer and the traditions that summer camp adds to the experience, it’s no surprise that singing camps give California kids an opportunity they will cherish for years to come. All trained singers know that vocal development is as much an art as it is a science. It’s physical conditioning mixed beautifully with mental concentration within a mindset of total focus. Learning to use your vocal folds to create pleasing sounds is, of course, the first goal of singing—but singing together in an ensemble involves so much more. Memory. Remembering lyrics, verses, and melodies may seem impossible (or easy, depending on your background). But this kind of memory work helps to make powerful neurological connections in the brain of the singer. There’s a reason we use little songs to remember the states or the bones of the body—singing boosts memory in a powerful way. Movement and coordination. With Glee Club or show choir especially, one major element of instruction is movement. Singers perform choreography with their feet, arms, and hands while singing, which adds a layer of complex coordination to the performance. This kind of dance helps children develop muscular control, particularly for those who may need a little more help with their sometimes-clumsy bodies. Ensemble skills. Those without a musical background can think of ensemble as the act of singing, moving, and interacting together, as a whole, with the other members of your group. This helps children develop their listening ears and encourages them to pay close attention to their surroundings. And when you’re singing in the beautiful Santa Cruz mountains, you definitely can’t help being even more attuned to everything around you. Self-esteem and confidence. If you have ever performed a speech, song, or dance in front of a group of people, you probably understand the element of stage fright fairly well. But the most important aspect of performance anxiety is that coming through with a successful performance builds incredibly healthy self-esteem. It’s astonishing how much singing in a summer camp talent show can bolster a camper’s confidence. We could go on about the benefits of singing for another ten blog posts. It’s an ancient and modern practice that has a huge impact on each participant—whether they know it or not. Your child may think that they just learned a really cool rendition of The Cup Song to sing with their friends, but in reality, they’ve gained skills that will serve them their entire lives. The best part about Kennolyn’s camp structure, in my opinion, is that campers get to participate in activities like Glee alongside and within a broader summer camp experience. This is not a place for 10 hour days of intensive singing, detailed personal lessons, or high-pressure performances—your camper can enjoy that kind of intensity when they’re in a collegiate school of music. 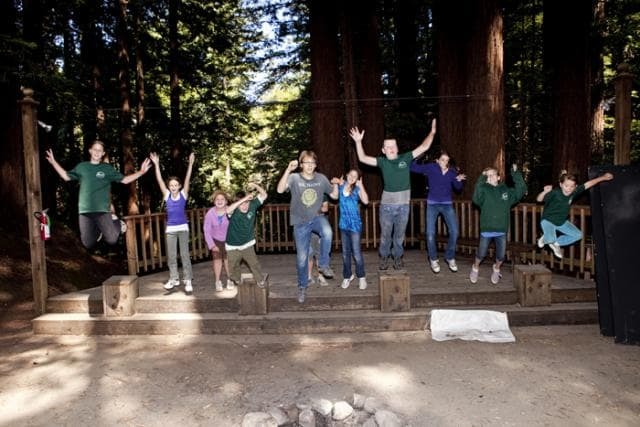 At Kennolyn, we truly believe in creating a healthy balance for each of our campers. They get plenty of time to dig deep into singing, but they also get to enjoy the benefits of a traditional summer camp experience. This kind of singing camp is perfect for those children who want to slowly get their feet wet in the world of music. Maybe they haven’t had extensive solo training yet, and want to see if choir is a potential interest. Or perhaps they are seasoned performers who are interested in a little break from the pressure. Singing at Kennolyn is an activity that’s ripe with fun, challenge, and exploration, but it’s also one that’s free of the anxiety that can come from intensely performance-driven programs. At Kennolyn, your child will get to meet others who are just as interested in singing as they are, but they’ll also get to interact with those who are more excited about horseback riding, swimming, or chess. That’s the beauty of a blended program, and why we wholeheartedly believe in the power of a summer camp environment. All of our campers take part in generations-old traditions that bring the entire Kennolyn community together, as we all raise one voice to the stars around the campfire at the end of a long and awesome day. If you’re looking for an opportunity for your child to learn a new skill while developing their social, mental, and relational abilities, you need look no further than a singing camp—or, in our case, a summer camp that lets them experience all the good parts of both worlds. 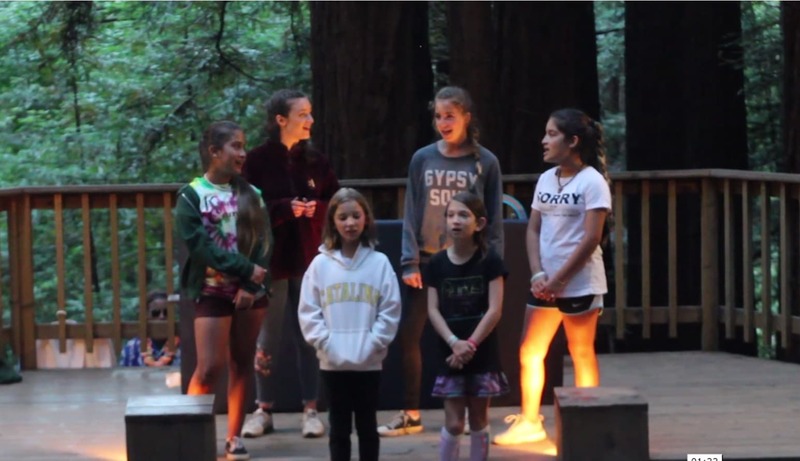 Combining all the benefits that group singing has to offer with the transformative power of the traditional California summer camp experience, Kennolyn’s Glee activity program gives campers the experience of a lifetime. Interested in learning more about how your family can get involved in singing camps at Kennolyn? 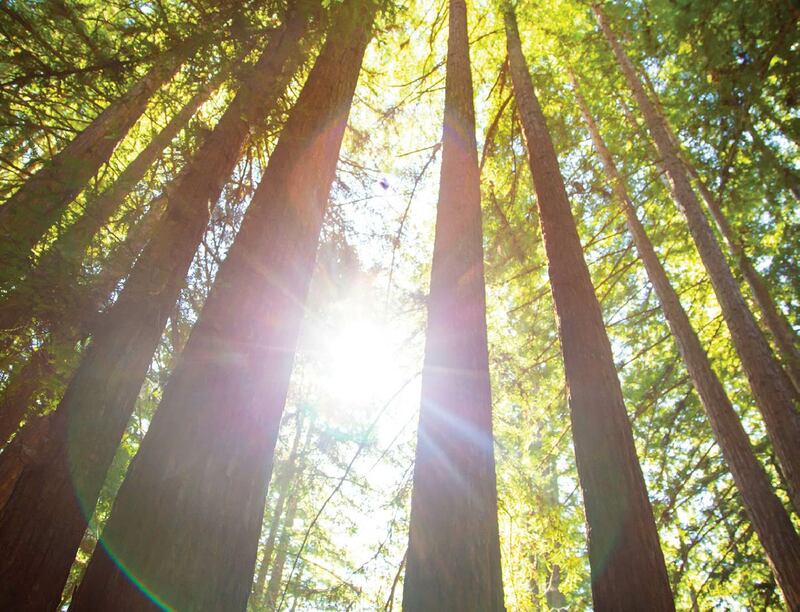 We are incredibly passionate about the activities that we offer here in the Santa Cruz Mountains, and are more than willing to share our experiences with you. Give us a call today to learn more.